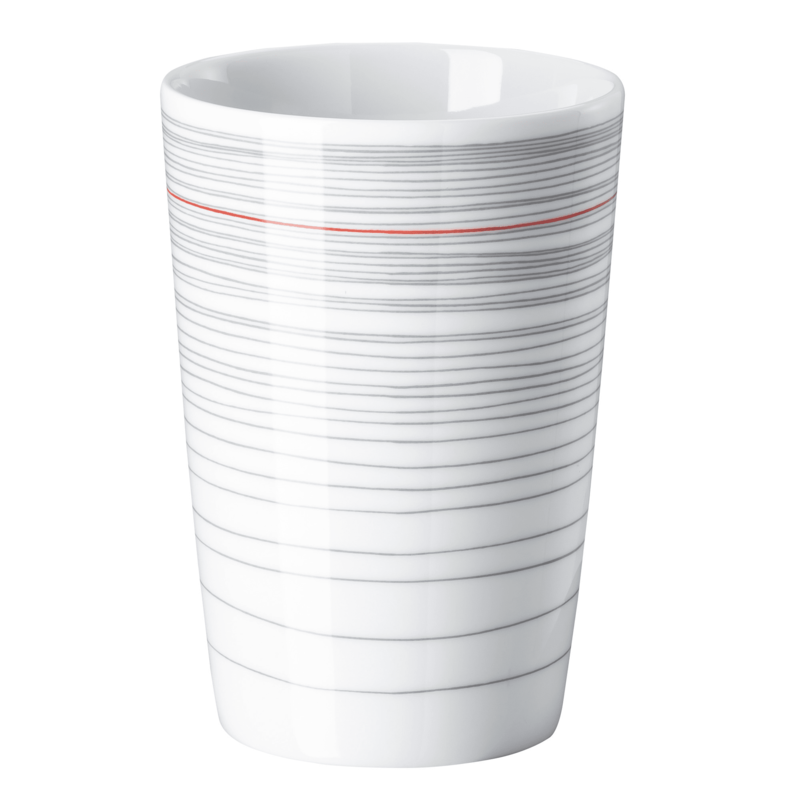 The new Rosenthal Stripes 2.0 collection is a true homage to Walter Gropius. In 2019, Rosenthal will pick up the TAC Gropius décor again and reapply it with a stripe pattern. The fine lines on the porcelain are matt and shiny in the mix and match principle. The white porcelain is enhanced by individual red glass plates, giving the tableware a new and modern touch. The red spot of colour is a real eye-catcher on a set table and the red service parts can also be set with the well-known TAC Gropius. As an absolute highlight of this new series, colour and facade elements have been integrated into the series. There are plates that have a very coarse structure and are to be reminiscent of the porcelain factory at Rothbühl designed by Walter Gropius. In contrast to the coarse plates there are plates and bowls made of platinum which shine wonderfully and look very noble and puristic. Altogether this service is an absolutely successful new edition of the TAC Gropius. TAC Stripes 2.0 is a high-quality decoration. The service should absolutely be cleaned by hand. High-quality colours and artistic design require no dishwasher.